After years of development and delays, Apple is finally ready to start shipping the HomePod. This is, for the uninitiated, Apple’s smart speaker, designed to compete with the Amazon Echo, Google Home, and the like Amazon Echo vs. Google Home vs. Apple HomePod Amazon Echo vs. Google Home vs. Apple HomePod In this article, you'll learn the differences between the Amazon Echo and Google Home. We'll also take a look at what features an Apple speaker may include. Read More . However, at launch it looks to be falling short of its competitors. Apple has been working on the HomePod since 2012. It started as a side project, like the Apple TV, but has now become a real product. Unfortunately for Apple, while it was tinkering with the HomePod, Amazon and Google launched their own smart speakers. So, has Apple left it too late? After years of rumors Apple finally took the wraps off its smart speaker at WWDC 2017 WWDC '17: HomePod, iOS 11 & Apple's Other Top Announcements WWDC '17: HomePod, iOS 11 & Apple's Other Top Announcements Overwhelmed by WWDC? You don't need to be. Here are all the important announcements from Apple's 2017 keynote. Read More . The HomePod is a speaker powered by the A8 chip and Siri. It features an array of six microphones, an array of seven tweeters, and a woofer. And the whole thing is wrapped in mesh fabric. The greatest Siri speaker that we have ever done. Pre-orders begin January 26. Available February 9. At $349, Apple is pitching this as a premium product. So rather than trying to compete with the Amazon Echo and Google Home, this is targeting the pricier Sonos One Sonos One Review: Is This the One Smart Speaker to Rule Them All? Sonos One Review: Is This the One Smart Speaker to Rule Them All? Sonos and Alexa, in One device. Thanks to the superior sound quality, it's the best Echo device yet – and with Google Assistant support promised soon, it's the One speaker to rule them all. Read More . But unlike the Sonos One, the Apple HomePod is limited to working with Apple services rather than third-parties. The Apple HomePod is available to pre-order from January 26th in the U.S., the U.K., and Australia. And it will both start shipping and be available in stores from February 9th. Apple is targeting France and Germany next, where the HomePod is set to arrive in the spring. At first glance, and without any hands-on experience of the HomePod, it looks like this will be perfect for those already ensconced in the Apple ecosystem. But everyone else should look elsewhere. Thankfully, Apple has plenty of fans 20+ Websites Every Apple Fan Must Bookmark 20+ Websites Every Apple Fan Must Bookmark Are you passionate about Apple? Luckily there's no shortage of online blogs, message boards, or Apple-related resources to scratch the itch. Read More who can’t resist its new shiny shiny. Do you currently own a smart speaker? If so, which one? If not, are you likely to buy a HomePod? Or do you consider the Amazon Echo or Google Home devices to be superior? 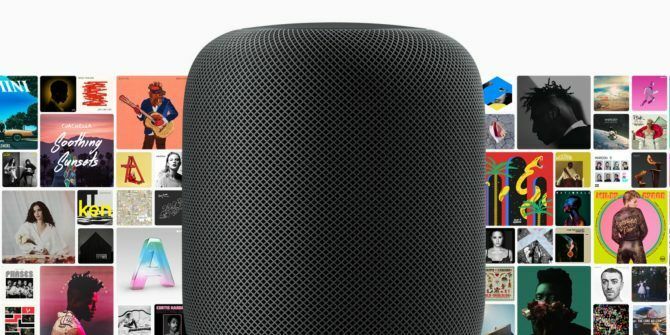 Has Apple put too high a price on the HomePod? Or will people pay it? Please let us know in the comments below! Explore more about: Apple, Apple HomeKit, Apple Music, Smart Speaker.